"Good, but there's room for improvement"
Casino.com is one of the most famous online casinos in the world, at least because of its ideal web address. The casino, which is best known for its Playtech games, is part of the Mansion group, which includes a total of four online casinos. Casino.com has been online since 2007 and has made many changes for players and customers over the years. In 2017, they completely changed the design to facilitate a fast and user-friendly interface. Worthy to note is the customer service and VIP service of Casino.com, one of the best in the industry. We have summarised what casino.com has to offer in a detailed review below. They treat new players like royalty when they sign up at Casino.com. There are 20 no deposit free spins upon registration available to be enjoyed on Age of the Gods slot, which players must use within a 24-hour period. New players can then take advantage of the 100% up to £100 welcome bonus. The welcome package includes another 180 free spins, also on the Age of the Gods slot. Players will immediately receive 20 free spins, plus 20 per day for the next eight days after depositing. Register – Simply go through the classic registration steps. You will have to provide personal details such as address and also choose a username. Make your first direct deposit. All you have to do is click on the green button “Deposit now”. Enter the deposit amount. On the payment page, you'll complete the remaining steps of the transaction, after which you'll be redirected back to Casino.com. The transferred money will be displayed directly in your customer account. Players will not need to make a deposit to receive the first 20 free spins. Upon deposit, you will get another 20 free spins immediately and a further 20 per day for the next eight days after. Free spin winnings are to be wagered 20x before withdrawing. There is a 40x wagering requirement on the welcome bonus. Slots and Scratch Cards are the sole 100% contributors towards the wagering process. Table Games and other games contribute anywhere from 25% to 0%. Bonus funds will only be used once the deposited amount has reached 0. It is also important how to make the first deposit. The new customer bonus is granted only if you use credit card, bank transfer, Boku or PayPal. Casino.com is well-known for its additional promotions after the welcome bonus. There are always the latest bonus promotions such as reload actions, free spins and more. There are many daily bonuses, they will reward you each day. A peculiarity of Casino.com is that you have to sign up for the actions explicitly, otherwise you can not use them or its free games. If you intend to deposit a larger amount, you should contact the customer service, because Casino.com is one of the generous online casinos that like to have a special bonus for their customers. Casino.com Games & Software: What Can You Play? Casino.com is no longer a pure Playtech casino, but it also uses NetEnt in its portfolio. This means that especially games like the classic Starburst, Gonzo's Quest or Divine Fortune are available. You have the option of downloading the software or the so-called client, which is worthwhile for frequent players, as it generally runs the entire game experience more stable. Playtech and NetEnt are now among the best-known and largest game manufacturers in the world, giving them a huge portfolio of games of all kinds. In addition to the video slot machines, this includes one of the largest collections of scratch cards. Casino.com is proud to allow its slots to be trialed and tested before players commit with their funds. Selected titles may players without real money. We think that's good, because then you can get a feel for the slot before you go all in. Plus, their are top titles such as Starburst, Gonzo's Quest and Jack Hammer which you can choose from, plus other exciting games like Irish Luck, Ugga Bugga and White King. Whether its cool slots from the sports genre, or even adventure and magical fairy-tale themes – Casino.com offers a strong selection that convinces! Casino.com has more than 40 different roulette and blackjack variants in stock. In addition to the classic variants such as “Classic Roulette”, “American Black Jack” and “Stravaganza”, games such as “Wild Viking” and “Double Attack Black Jack” are also available. The portfolio here is sufficient, so you can find enough variety. Casino.com currently has over 15 different video poker variants in stock. Here there is also the classics available, conveniently in different versions. “Jacks or Better” is in 4 Line, 10 Line and also 50 Line variations! Also, “Aces and Faces” is available in several variations: Classic, 4 Line and 25 Line. The best thing about slots is jackpots, is it not? And here at Casino.com, it is so excellently set up that you’d want to get started right away. Unfortunately, the current level of progressive jackpots is not displayed, but it is approximately fifty. In addition to the ultimate jackpot “Jackpot Giant” you can, for example, on “The Winnings of Oz,” “Silent Samurai” and Purple Hot “try his turn luck. Jackpots are exciting. Winnings can be life changing and vary from hundreds to thousands of pounds. Progressive jackpot games continuously increase in jackpot prize money, which may reach up to millions of pounds. Playtech’s services do extend to live dealer tables as well, which is why you’ll be able to find a well-equipped live casino section at Casino.com. The games on offer consist of Roulette, Blackjack, Baccarat and Casino Hold’em. The impressive part about each game is the number of game variations on offer, such as Dual Roulette, Unlimited Blackjack and Mini Baccarat. If you’re looking for the next best thing to visiting a bricks and mortar casino, live dealer tables are the way to go. They provide an immersive gaming experience thanks to the high definition streams, and professional live dealers taking care of the tables. Unlike all other games on the Casino.com site, you can only enter the live casino if you’re signed in and have credit on your casino account. The live dealers themselves are professional enough to communicate with via chat. The camera angles are also adjustable. The VIP club is in several tiers: Bronze, Silver, Gold, VIP and VIP Elite. For the first level, Bronze, the entry is free as you need 0-499 loyalty points to enter. As you accumulate more loyalty points, you can progress upwards on the VIP ladder. You will earn 1 loyalty point for every £15 wagered on slots and scratch cards, while other games require varying bet amounts. Your points also serve an additional cause; bonuses. As a Bronze member, you can exchange 400 points for a £10 cash bonus. The points to cash ratio increases the higher your membership goes. 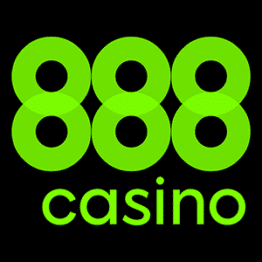 Casino.com accepts almost every conceivable payment method for UK players, in the form of e-wallets, credit and debit cards, prepaid vouchers and instant banking options. It offers the mobile casino in several versions, which opens the door to various player repertoires. First and foremost, players with an Android & iOS device have a free download from a native app available. Players can conveniently download it from the App Store, where it then installs itself completely automatically. In addition, there is also an alternative that can be used without a previous software download. With this mobile web version, it does not matter which operating system players access this offer with. According to our Casino.com experience, the provider has made an extremely good impression on the visual design of the mobile casino. This makes the same good impression as the regular homepage and scores with an intuitive design. Even inexperienced customers will find their way around within a very short time, even if they have collected no experience with the regular homepage in advance. One small point of criticism, however, is that players cannot play all games from their phones or tablets. Apart from that, the mobile Casino.com app can be described as a really good alternative to the desktop offer. The fact that Casino.com is a serious worldwide brand is further enforced when you take into consideration the support they offer. There are agents working around the clock, offering full 24 hours’ support, every day of the week. Not only are they quick to respond to queries, but highly friendly and knowledgeable as well. You can get in touch with them through live chat, e-mail ([email protected]) and a free UK phone number – 0800 9012 483. When you play at Casino.com, you’re guaranteed a fair, responsible and secure casino environment. Licensed and regulated by the globally respected UK Gambling Commission and Gibraltar Gambling Commissioner, who are both renown for their stringent standards. This is already a strong proof of seriousness and definitely convinces even the toughest critics. These regulatory authorities, which grant these licenses, check Casino.com at regular intervals. Continuous reviews are conducted on both of the random number generators that underlie slots, as well as dealing with customer support and transaction processes. If you need help, because you are not sure if you are not already suffering from a certain addiction factor, you will find different contact points directly on the website. Casino.com cooperates with several agencies, such as Gamcare, Gambler Anonymous and Gambling Therapy. In addition, one can opt for various self-protection measures. Casino.com offers to either apply for a break. Here you set a certain period of 24 or 48 hours, in which you cannot log in and thus cannot deposit money. In addition, you can also request a self-exclusion. Mansion is a sponsor of several Premier League clubs such as Tottenham, Manchester City, Palace & Bournemouth. Mansion Ltd., were winners of the Online Casino Operator of the Year 2018 at the International Gaming Awards. With more than a decade of industry experience, Mansion boasts an impressive portfolio of brands. Casino.com certainly boasts more than a few features that a lot of casinos out there don’t. But what sparks as truly unique is the way they treat regular players. The weekly and monthly bonuses that anyone is eligible for, have a plethora of VIP promotions and s rewarding loyalty points scheme to accompany them. With NetEnt as another game provider, the number of games has increased significantly. As far as variation, progressive jackpots plus table and card games goes, you will hardly find a better casino. Once again, we must put the special VIP program in the limelight, which justifies achieving a VIP status and is one of the best VIP programs in the industry. Are there any withdrawal limits at Casino.com? If so, how high are they? Regular players with no VIP status can withdraw up to £15,000 per month. If you are a VIP, you can transfer twice, so £30,000 per month. I read that Casino.com has PayPal, but I cannot find it in my deposit list. Why is that? Currently only British players can use the PayPal payment service, this excludes all other countries. We will inform you if there are changes! Are there Jackpots at Casino.com? Yes, there are over 50 jackpots based on slots and table games. This is one of the widest selections of jackpots available and they are definitely worth a shot.